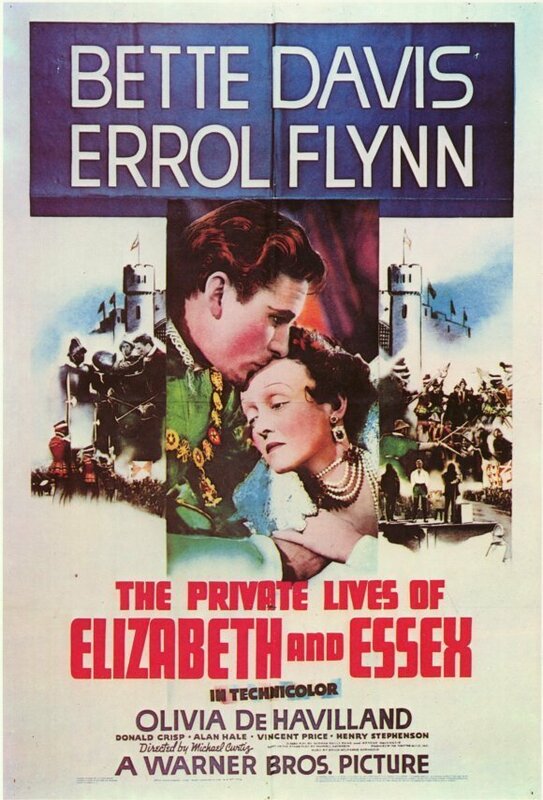 Bette Davis and Errol Flynn made The Private Lives of Elizabeth and Essex fascinatingly public, striking sparks with this lavish Technicolor tale of the ill-fated love between the aging Elizabeth I and the dashing Earl of Essex. Thoroughly unglamorous here - eyes and hairline shaved, face painted chalky white - double Academy Award winner Davis exudes such intelligence, energy and ardor that her romance with the decades - younger Essex (Flynn at the peak of his remarkable good looks and athletic verve) is completely believable. Based on Maxwell Anderson's play Elizabeth the Queen and directed by Michael Curtiz, this nominee for five Oscars takes liberties with historical accuracy, but none with dramatic impact. Long may these tempestuous, titled lovers reign!